Home Legend Solid Horizontal Bamboo Flooring has a natural beauty and stylish finish that is versatile in any decor. 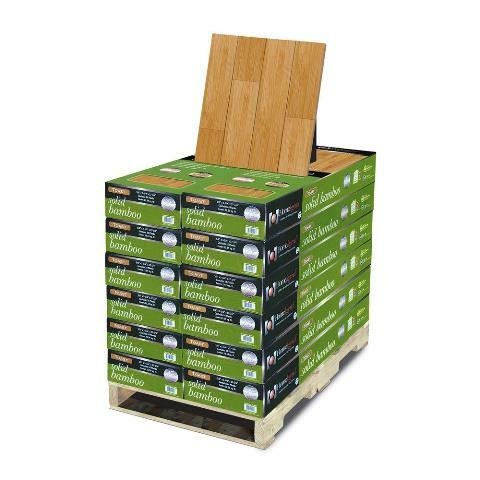 The prefinished flooring has a seven-layer aluminum oxide finish providing protection from everyday wear. This product has achieved GREENGUARD Indoor Air Quality Certification and has been tested for more than 10,000 volatile organic compounds, including formaldehyde, to meet these standards. The tongue and groove profile allows the flooring to be installed on and above grade. This Earth-minded flooring is a perfect choice for almost any room in your home, and you can rest assured that you are getting a floor that was produced with ethical standards and won't pollute the air you breathe. 283.08 sq. ft. per pallet; 12 cases per pallet. Pallet weight: 630 lbs.